everything I wanted and more. 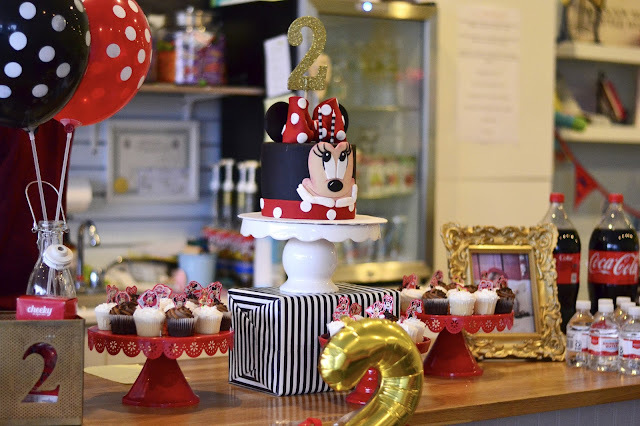 If you didn't already know, the birthday party theme was Minnie Mouse, well because she's obsessed with Minnie and Mickey! 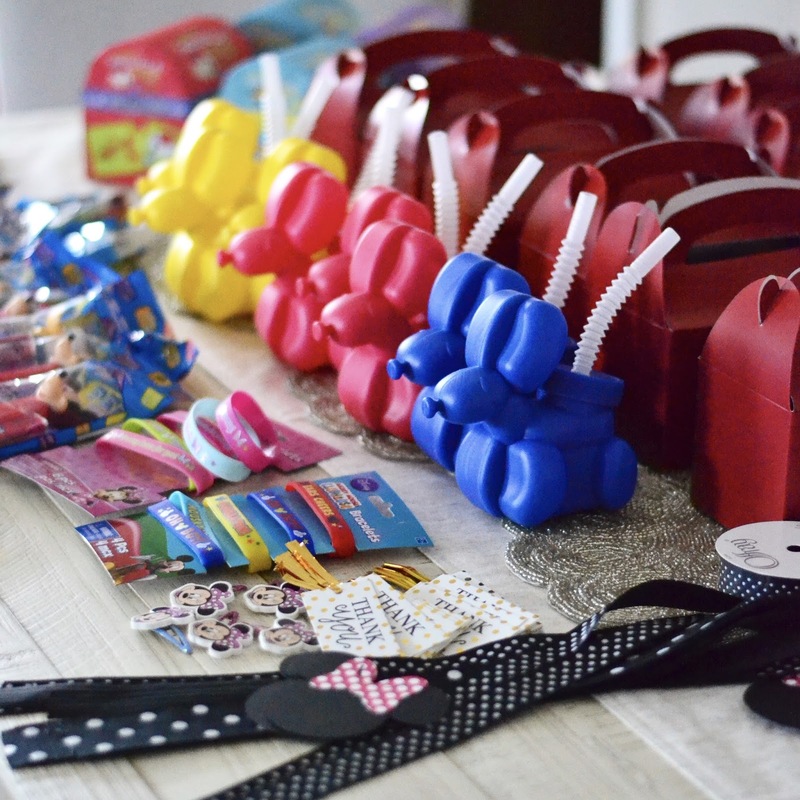 I love planning my children's parties, I love special details all throughout the party. I always tell myself I am going to simplify my life but I always do more, I think it just satisfies me and I truly enjoy it. First things first... the favors. I partnered with Oriental Trading to put together these super cute favors and they were perfect for a second birthday party. 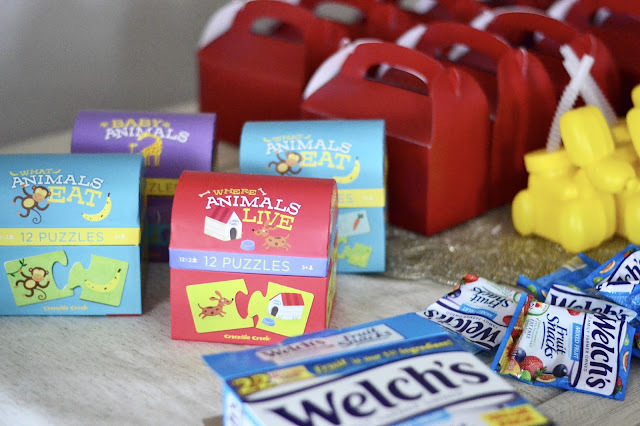 See below for all the cute things I included in the boxes. Oriental Trading sent me most of the products for the favors, as always, all opinions are my own. The cute puzzles above are from Target's Dollar Spot section! I love them and gifted them to the smaller babies and kept one for Emme as well. 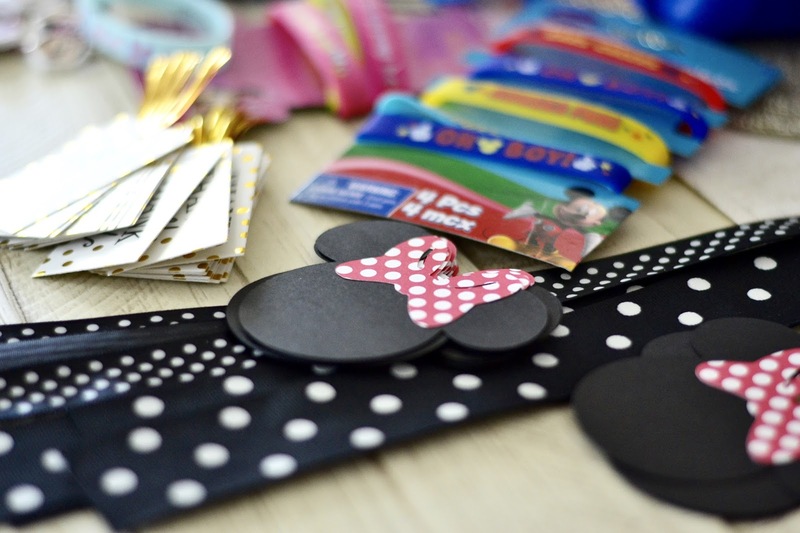 and even Minnie Mouse hair clips for the girls. I wrapped the boxes with black and white polka dot ribbon and sealed it with a 3" Minnie Mouse cut-out from Etsy. 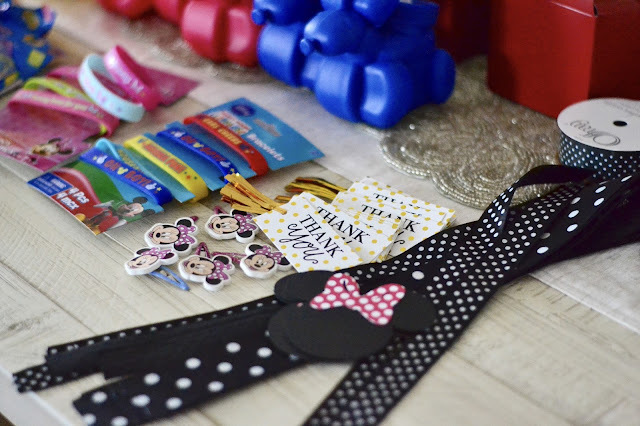 And because I simply love details, I added a "thank you" tag to each favor box and wrote each guest's name on the back of the tag. I always tell myself I am going to give one favor to everyone but I ended up having not one but THREE different favors for all age groups! I am crazy, I know.You can find most of these items on Oriental Trading, visit their coupon page for the latest sales! Emme's cake was everything. Can you believe it was FAKE. Yes, it was a fake cake decorated with fondant. And it was everything I wanted and more. It was perfection! The girl made exactly what I sent her. I decided on a fake cake (we do this a lot in Ecuador) mostly because of Emme's peanut allergy, I didn't trust anyone to make a cake for her. And second, because I always have cupcakes anyway, it's much easier to hand out and the kids love it! I get mini cupcakes for every party and it works. This time they were peanut and tree nut-free, as well as soy-free. 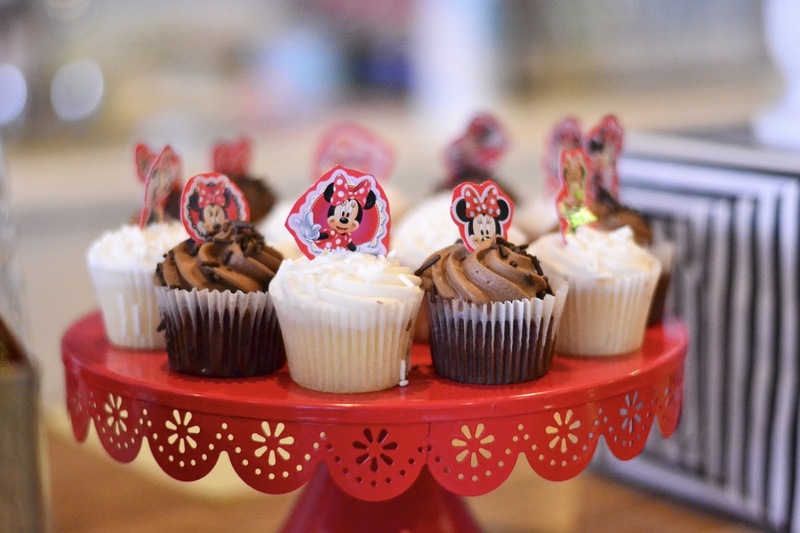 And because they only had brown and white cupcakes, I added some Minnie Mouse details to them. 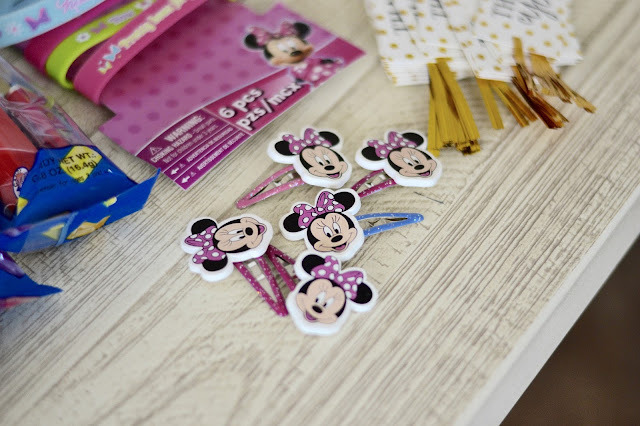 I went to the dollar store, bought red cardboard, placed these Minnie Mouse stickers on the cardboard and cut them out. Then I simply placed them on top of each cupcake for a super cute added detail. 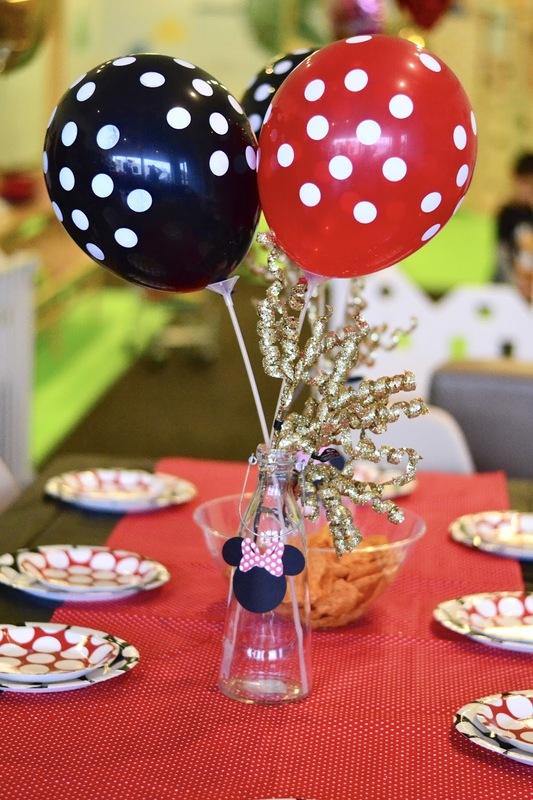 For the tables, I used these glass bottles from Walmart and put placed these cute polka dot balloons inside of them, as centerpieces. 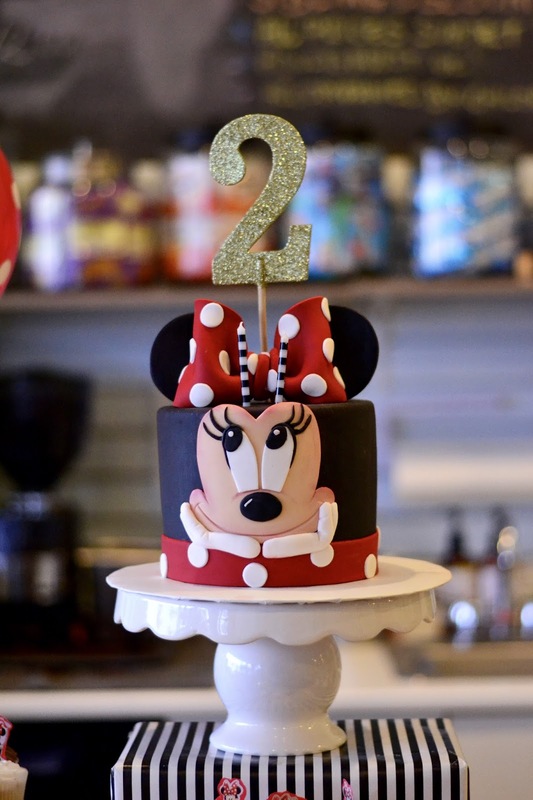 I added the gold curly ribbon and the Minnie Mouse cut-outs for an extra touch. 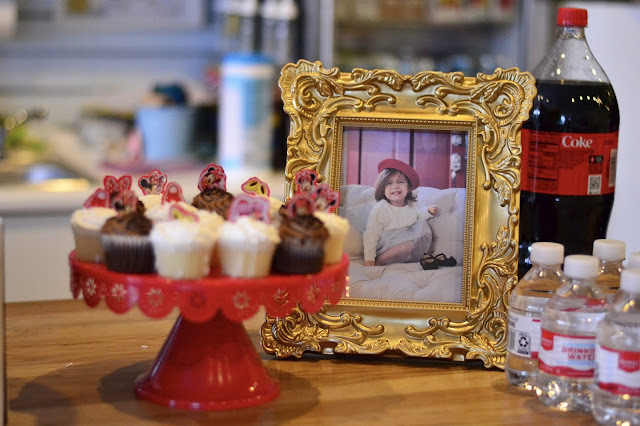 I also purchased the red polka dot fabric and used them as runners on each table. I paid $7 for both "runners" at Walmart! Such an inexpensive idea and looked amazing. I also love that it can be reused time and time again for so many different parties. 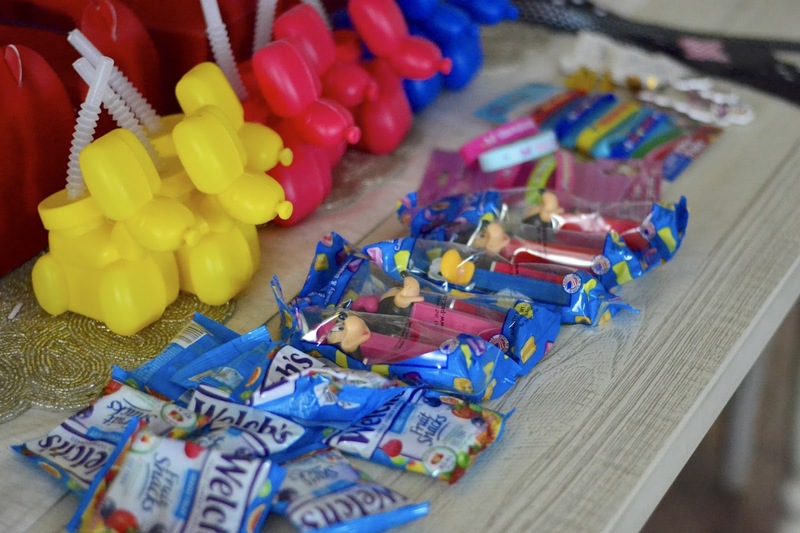 Overall the party was a huge success! The kids didn't want to leave, they played so much, Emme was in the best of moods... it was simply perfection. 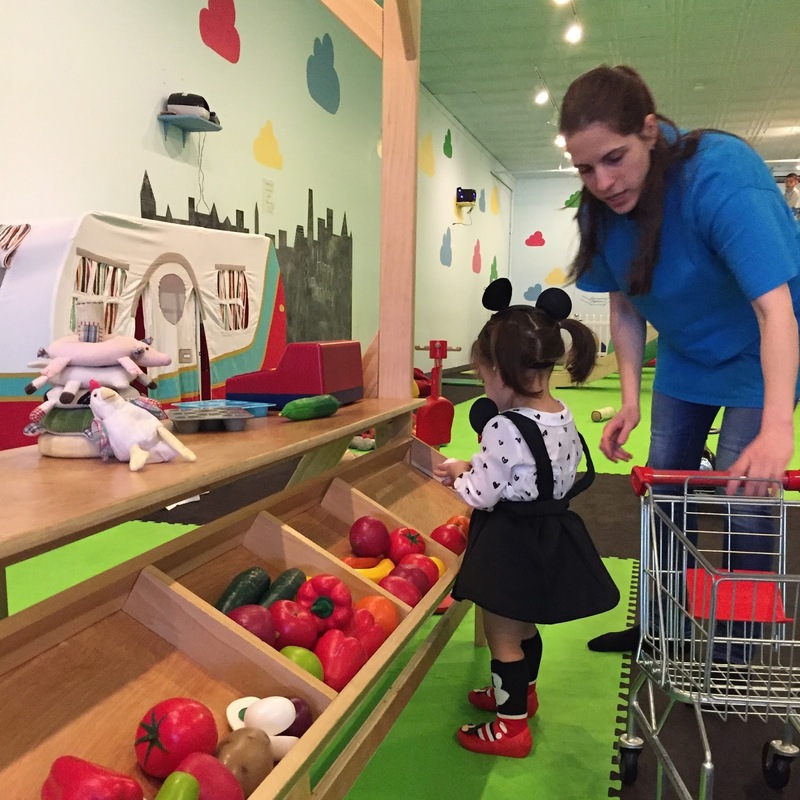 I am in love with the place I had it at, it was exactly what I was looking, perfect for kids 2-5 I would say, even though ALL the kids had a blast. Thank you all so much for your sweet birthday wishes to Emme, I hope you enjoyed a little look into our fabulous day.